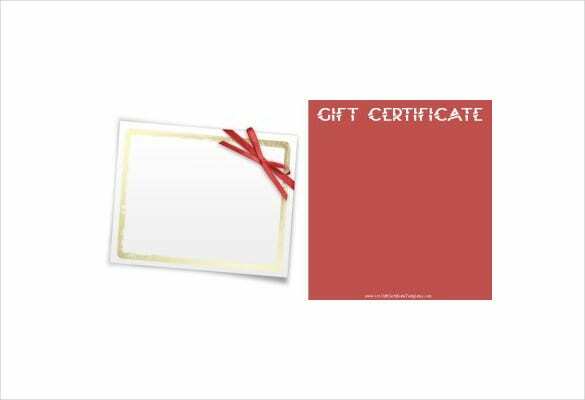 12+ Blank Gift Certificate Templates – Free Sample, Example Format Download! Certificates are no doubt a very important thing. You need them in purposes like certifying a trainee after completion of a course, facilitating a guest of honor or simply a gift certificate. 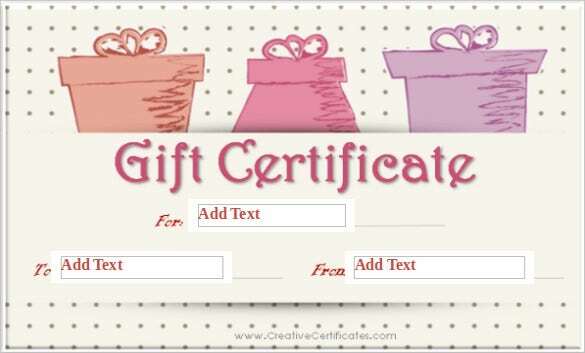 A blank gift certificate is a customizable certificate which is used solely for gifting purpose. If you are planning to present a certificate to your best employee then such personalized certificates is the best thing to present. 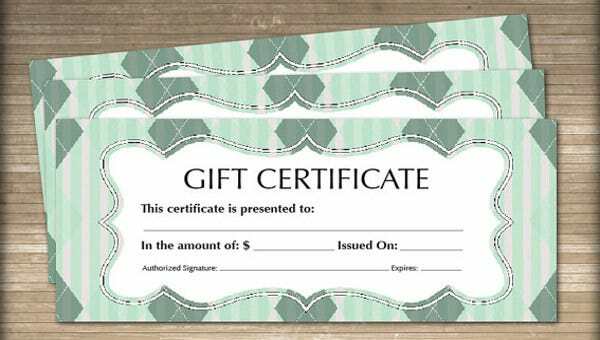 You may Like Christmas Gift Certificate Templates These types of Gift Certificates must contain the following- name of the sender, name of the recipient, purpose of the certificate and informal message. 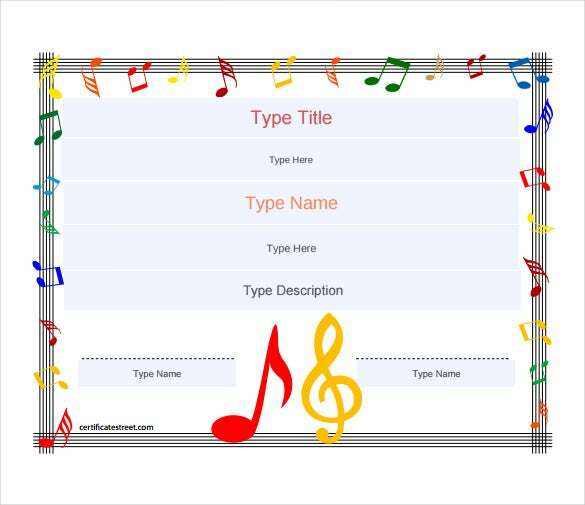 You can also make your own gift certificate by downloading blank gift certificate templates from our site. 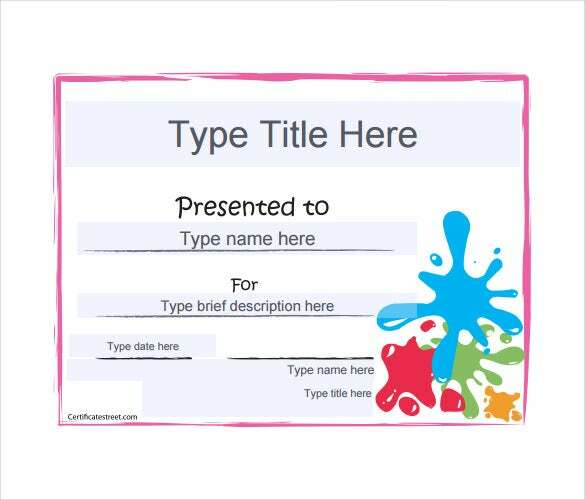 101giftcertificatetemplates.com | This is a beautiful gift certificate in a lovely pink shade. The very hue has this rare ability to ooze warmth and softness at the same. The front side of the certificate comes with a blank space framed in a classy golden border and you also have a bright crimson ribbon at top right of the card. 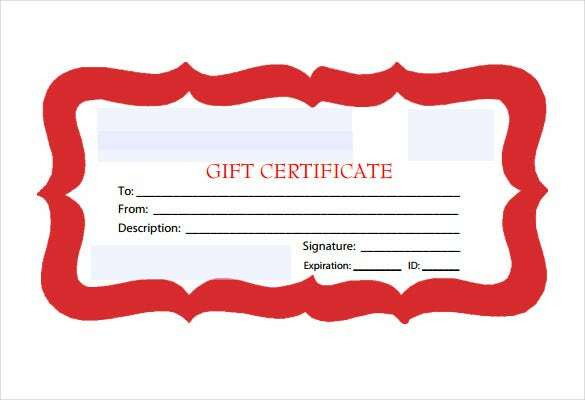 certificatestreet.com | If you are looking for a blank gift certificate for some drawing competition or art contest, this blank gift certificate here looks apt with its splash of vibrant hues at bottom right. 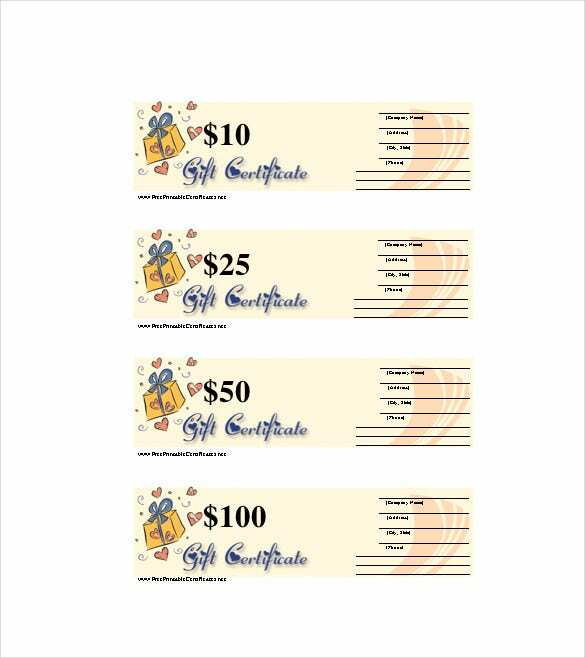 The fonts emulate a hand-scribbled style which implies a gift certificate for kid competitions. The red frame adds on a dashing border to the overall picture. 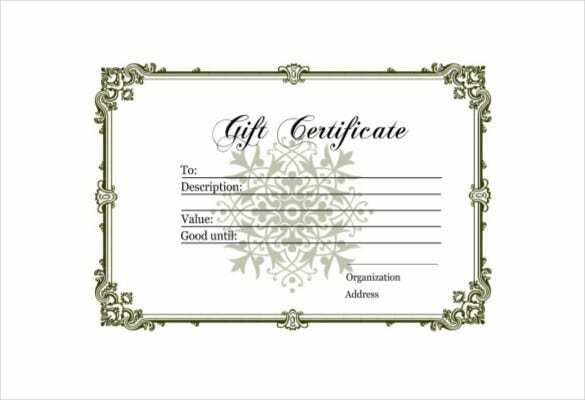 101giftcertificatetemplates.com | The gift certificate here has been divided into two sides. On the left you have a soothing blue display with tuft of clouds and a cute umbrella- which altogether have created a cool breezy ambience all around. 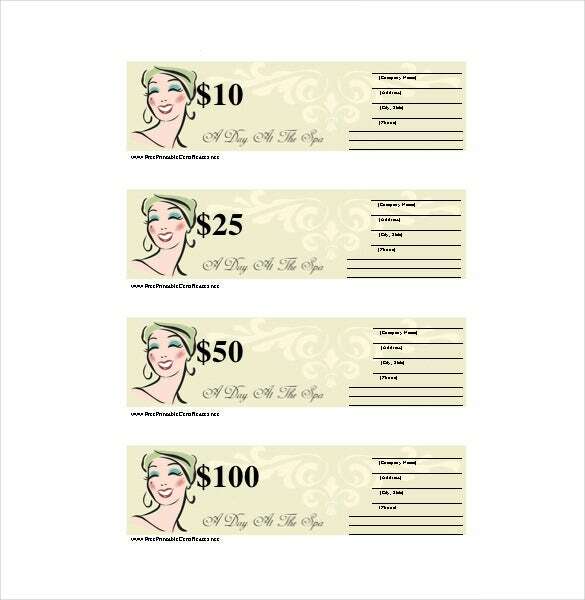 The right side is where you will insert the text for gift certificate. 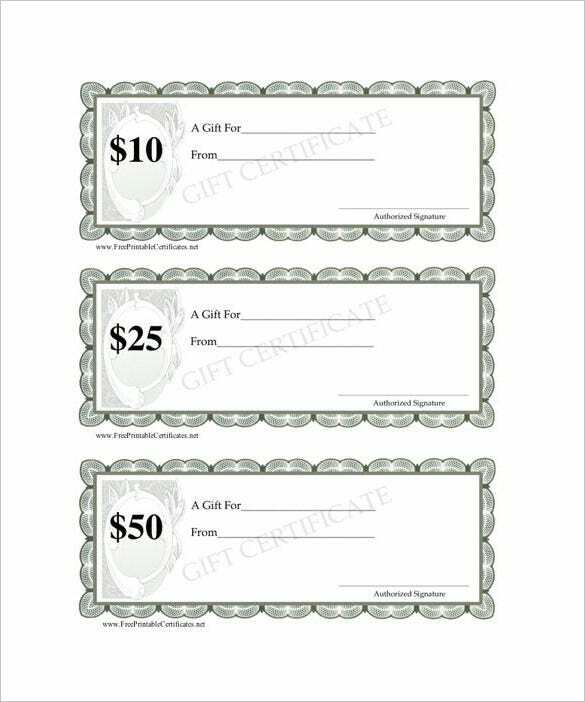 You are getting as many as 4 blank gift certificates here for $10, $25, $50 & $100. The yellow background makes a calm view while the gift boxes look really cute with tiny red hearts around them. 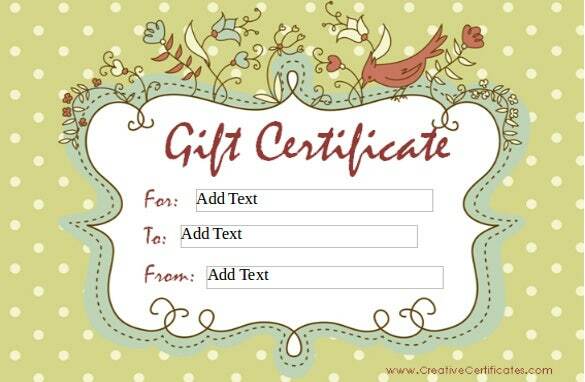 The certificate comes with designated spaces to put your own text and saves you from creating a gift certificate right from scratch. 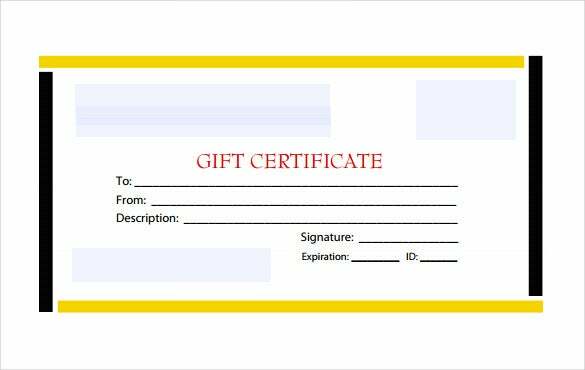 apollostemplates.com | It’s a very simple yet smart gift certificate with a chic combo of black & yellow border. You have pre-designated sections here for your information on the receiver of the certificate, description of the certificate, signature as well as the expiration date of the certificate. You are getting a neat design here. 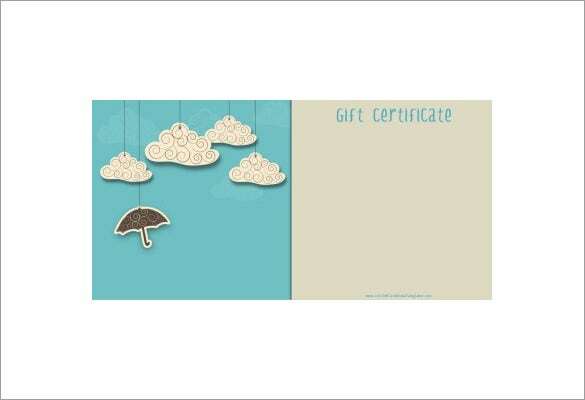 creativecertificates.com | If you are looking for something out-of-the-box with your gift certificate, this dot background blank gift certificate would be great for you. It opens up with 3 gift boxes in pretty colors and different styles and following it you have pre-defined spaces for your gift certificate text. Who will say no to such a lovely gift certificate?